Sam, a guilt-ridden blacksmith, gets a telegram from the woman he left behind, asking for help. He returns to his hometown to find the “afflicted” roaming the streets, and discovers that letting go of the past is even more difficult than battling supernatural hordes. 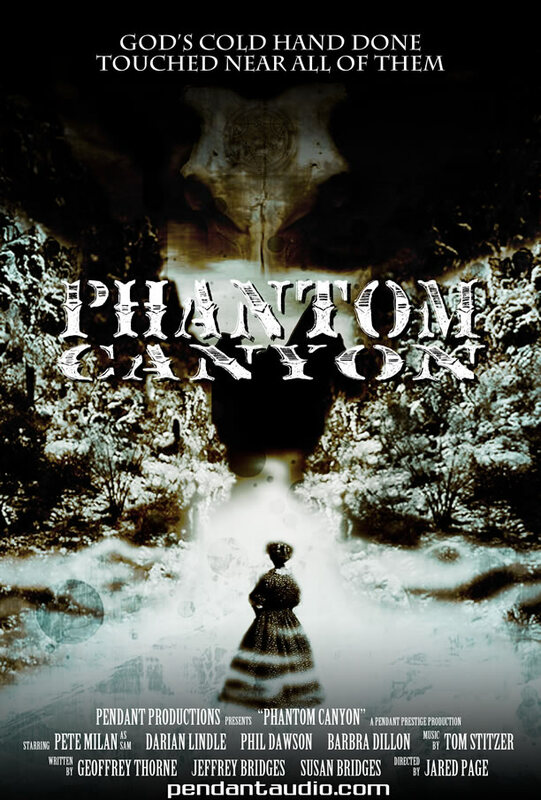 PHANTOM CANYON NOW AVAILABLE FOR PURCHASE! 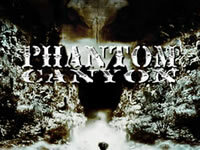 - Phantom Canyon on Twitter! - Phantom Canyon on Facebook! 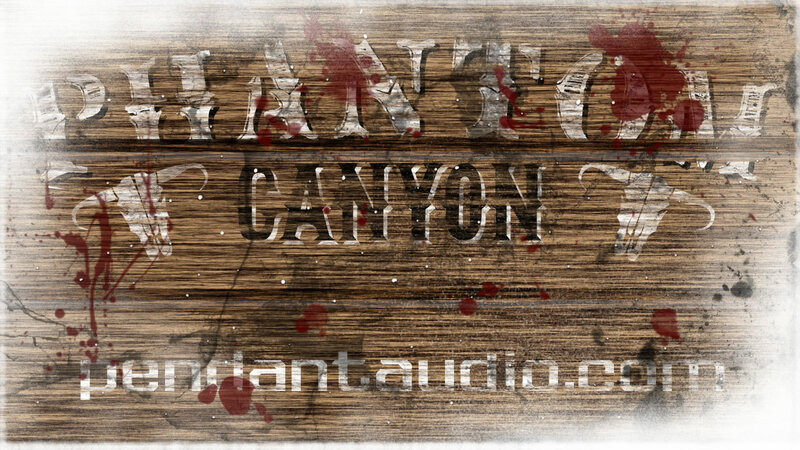 "Phantom Canyon" is a full-cast horror/western feature-length drama. 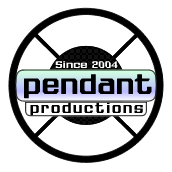 This is Pendant's first prestige audio drama! We've cooked up something unlike anything Pendant's ever done before. It's all at once scary, creepy, heartfelt and bittersweet. We aim to make you laugh, cry, and sleep with one eye open. And please join us in the Phantom Canyon Production Journals, a podcast chronicling the long, involved process of bringing this audio feature to your ears. Co-creator, co-writer , "Phantom Canyon"
The Phantom Canyon wiki entry, complete with full episode cast lists and summaries! Winner of 2014 Pendy Award for Best Supporting Actor in "Phantom Canyon"
Listen in on a Skype call between director Jared Page, assistant director Paul Brueggemann and show co-creators and co-writers Jeffrey and Susan Bridges as they discuss directing Phantom Canyon! Listen in on a Skype call between composer Tom Stitzer and show co-creators and co-writers Jeffrey and Susan Bridges as they discuss the music of Phantom Canyon! Listen in on a Skype call between script editor Teresa Stacy and show co-creators and co-writers Jeffrey and Susan Bridges as they discuss the editing of Phantom Canyon scripts! Listen in on a Skype call between actor Marte Brengle and show co-creators and co-writers Jeffrey and Susan Bridges as they discuss the role of Edwin's Mother! Listen in on a Skype call between actor Phil Dawson and show co-creators and co-writers Jeffrey and Susan Bridges as they discuss the role of Edwin! Listen in on a Skype call between actor Lea Gulino and show co-creators and co-writers Jeffrey and Susan Bridges as they discuss the role of Adelaide! Listen in on a Skype call between actor Barbra Dillon and show co-creators and co-writers Jeffrey and Susan Bridges as they discuss the role of Clara! Listen in on a Skype call between actor Adin Rudd and show co-creators and co-writers Jeffrey and Susan Bridges as they discuss the role of Henry! Listen in on a Skype call between actor Darian Lindle and show co-creators and co-writers Jeffrey and Susan Bridges as they discuss the role of Rebecca! Listen in on a Skype call between actor Joe Stofko and show co-creators and co-writers Jeffrey and Susan Bridges as they discuss the role of Mr. David! Listen in on a Skype call between lead actor Pete Milan and show co-creators and co-writers Geoffrey Thorne and Jeffrey and Susan Bridges as they discuss the role of Sam! Listen in on a Skype call between show co-creators and co-writers Geoffrey Thorne and Jeffrey and Susan Bridges as they discuss the creation of "Phantom Canyon" and the struggles and challenges of scripting the show!